Customer's country VAT added to EU customers only. A sharpening tool, working separately on Dark and Light halo’s components of an image, an almost impossible task until today. 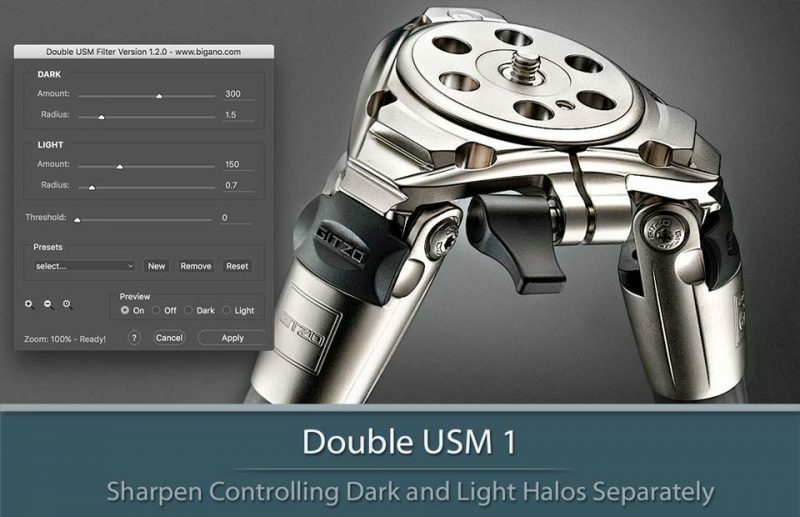 With a double set of sliders, Double USM fills the gap and lets you tweak unwanted halos precisely.